(c) if so, the details thereof including the quantum of foodgrains procured and the amount granted to farmers under PM-AASHA so far, State-wise? (a) The objective of the Pradhan Mantri Annadata Aay Sanrakshan Abhiyan (PM- AASHA) is to ensure remunerative prices to farmers for their produce. PM-AASHA is an umbrella scheme comprising Price Support Scheme (PSS), Price Deficiency Payment Scheme (PDPS) and Private Procurement & Stockist Scheme (PPSS). These schemes are implemented at the request of the State Governments / Union Territories. PSS is implemented for procurement of pulses, oilseeds and copra of Fair Average Quality (FAQ) at Minimum Support Price (MSP), whereas PDPS is implemented for oilseeds. However, States/UTs have options to choose either PSS or PDPS in a given procurement season with respect to a particular oilseed crop for the entire State. 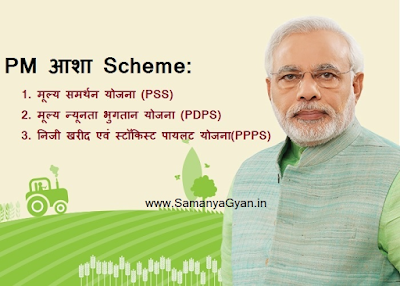 PDPS does not involve any physical procurement but envisages direct payment of the difference between the MSP and the selling / modal price to pre- registered farmers selling oilseeds of prescribed FAQ norms within the stipulated period in the notified market yard through a transparent auction process. Besides, PPSS is also implemented for oilseeds on pilot basis and States have the option for implementation of PPSS in district/selected APMC(s) of district involving the participation of private stockist. (c) The state-wise details of foodgrains procured at MSP after the launch of PM-AASHA is at Annexure-I and Annexure-II. For these procurements, farmers have been granted MSP for their produce.